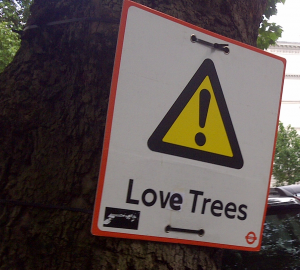 Let’s stop degrading trees in cities by hanging signs on them that read: ‘low hanging’. Instead use this toolkit to make it read. Love Trees… much better!